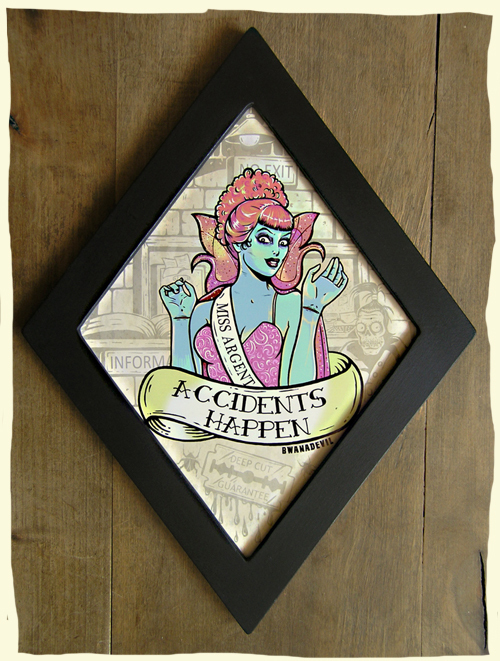 A monstrous illustration inspired by Miss Argentina from Beetlejuice in diamond shaped frame. Each illustration is framed with a handmade one piece wood frame painted in matte black. The front panel is made from clear acrylic and the back is made from a resistant cardboard in black, supported by a single sawtooth hanger for easy hanging. The back also includes a decorative sticker with the item details. All our diamond shaped frames are handmade. The wood is cut and carved by hand, then sanded and painted in mate black. The rest of the parts, like the 2 mm transparent front and rear support are also hand cut. Once we have all the parts of the frames ready, we start with the framing. 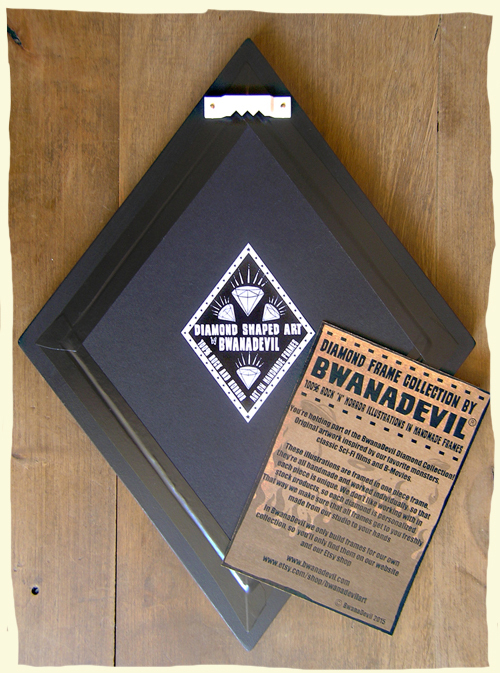 You will not find our collection of frames anywhere else, since we only make them for our Bwanadevil shop. Dimensions: 12.6 x 9.4 in. / 32 x 24 cm. © BWANADEVIL 2016. ALL RIGHTS RESERVED.